Azure virtual machines are great solutions for hosting SQL data. However, if the servers are stored to capacity, backing up data can be incredibly difficult. Azure is one of the most reliable data storage options available. It creates three copies of every disk, so there is minimal risk of data loss or corruption. Unfortunately, this creates a false sense of security for too many people. Even though Azure disks are already backed up on the server side, there are still risks. Data can be accidentally deleted by an administrator or maliciously altered by a hacker or rogue employee. It is important to backup SQL server databases on Azure virtual machines. There are a variety of ways that you can backup data on your Azure virtual machine. However, a couple of the most common options raise data integrity risks. The easiest approach is to take snapshot of individual Azure disks. Unfortunately, while this is a convenient way to backup data, it is rarely a feasible option. The biggest problem with this approach is that you risk missing capturing important bits of data. You also have to shut down SQL Server before backing up files, which can create logistical issues if you need to continually access data in real-time for various reasons. Performing a file-level backup of SQL Server is a slightly better approach. However, it tends to be much more resource intensive. If you would like to learn more about this approach anyways, you can read more about it on MSSQL Tips. “There are only two commands for backup, the primary is BACKUP DATABASE. This allows you to do a complete backup of your database as well as differential, file, etc. backups depending on the options that you use,” writes MSSQL’s Greg Robidoux. There are several ways you can backup data on one of your Azure virtual machines. A few years ago, Microsoft enabled Azure users to write directly to the Azure Blob storage service. Writing data to the Azure Blob Storage Service is probably the easiest backup solutions available. SQL Server uses an older API to write to the Azure Blob Storage Service, so you can store up to 12.8 TB of data in a block blob. Microsoft Azure Backup Service derives most of its functionality as a backup tool from Data Protection Manager (DPM). In order to this service, you must login to your Azure portal and register a data recovery vault. If you are setting Microsoft Azure Backup Service for the first time, Github has a great tutorial that even new Azure users can easily follow to start backing up their important datasets. You can check it out here. Keep in mind that the type of tools that you use for backing up data vary by application. Companies like Aero Inc. store catalogues in pdf format, so they don’t need as much storage space. Data integrity is a serious concern on any data server. 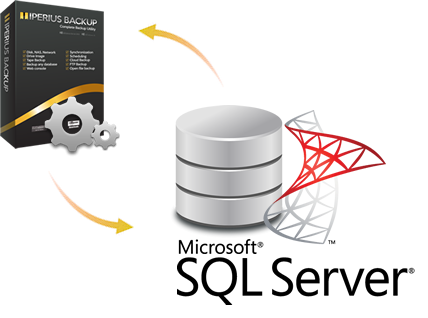 Even though SQL Server databases are thoroughly backed up on the server itself, it’s important to create your own backup server in case data is accidentally or maliciously altered or deleted.